Do you enjoy games that exist simply to test your bladder's ability to hold urine? 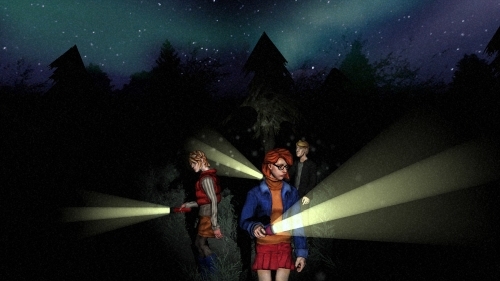 White Noise Online takes a page from the Slender book of game design and drops you and some friends in a dark, spooky woods with the simple goal of collecting a bunch of tape recorders. Don't worry, though, because you've all got flashlights! Flashlights that do little more than attract the scary thing that keeps appearing just outside of your field of vision. This whole horror/fright setting might be an ordinary walk in the haunted park, but White Noise Online supports four player online co-op. The real game, then, is to see who screams the least like a little girl as soon as that specter appears and starts chasing you. White Noise Online is currently available as an Xbox Live Indie Game. Page created in 0.9853 seconds.